EU’s currency policy causing huge damage. Greece has been warned by the EU not to mention its money troubles at a leader’s summit next week, suggesting the country is set to suffer more austerity while EU bosses try to ignore the problem. Greece’s Economic Minister has hit back, claiming that the country is being made a “sacrificial lamb”. A smaller EU with its own army can already be seen on the horizon. “Europe will be forged in crises and will be the sum of the solutions adopted for those crises.” Those famous words from one of the European Union’s founding fathers, Jean Monnet, explain much of what is happening in Europe. The economic crisis is forcing the political union that EU leaders could not get voters to agree to. And now, in the aftermath of the Paris attacks, new, major changes are afoot. The last few nails in the coffin are being driven in by the German-led Troika and soon Greece will be in 100% vassal state mode. Earlier today, tucked away from the public’s eyes, there was another round of drama involving Greek securities this time focused on Greek senior bank bonds which promptly tumbled back to post-referendum/pre-bailout #3 levels. 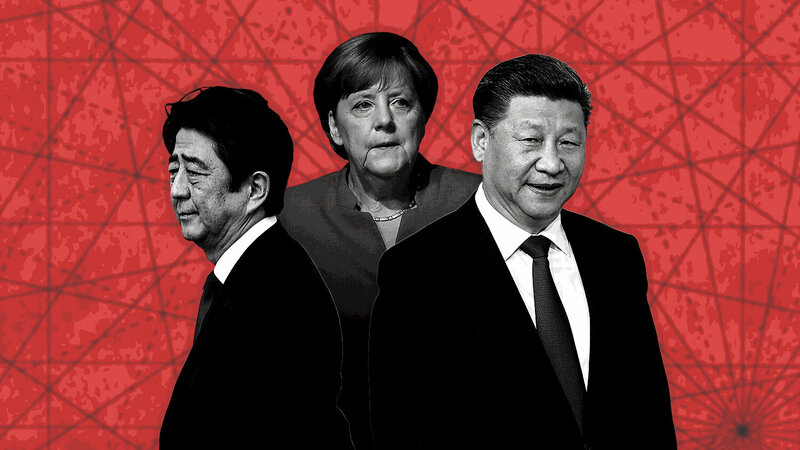 BERLIN/ROME/PARIS (Own report) – In several western and southern European countries, the agreement on Greece reached in Brussels signals a looming collapse of the continental post-war order and Germany’s revival as an ostentatious dictatorial power. Whereas social-democratic observers do not exclude an attenuation of the contradictions, southern European conservative media are among those who speak of a revival of German hegemonic ambitions, which had largely determined or triggered the First and Second World Wars. The consequences of the French-Italian submission during negotiations in Brussels are generating those fears, because Paris had not succeeded to and Rome had not even seriously attempted to thwart the German dictates of sovereignty over Greece. Both, Italy and France are aware of the dangers of becoming the next victim of German financial dictatorship. They are competing for admission in a northern European core Europe, whose membership will be decided by Berlin, in the case of a possible collapse of the European Union. Current events are directly linked to German foreign policy endeavors in the 1990s and the territorial expansion of Germany’s economic basis through the so-called reunification. German Finance Minister Wolfgang Schäuble has an ambitious plan to change the European Monetary Union and the collapse of Greece was part of it, former Greek Finance Minister Yanis Varoufakis wrote in an article. While the Greek “compromise” deal may have averted an outright economic collapse in Greece in the short-term (although one would be hard pressed to describe the current situation on the ground as anything other than a depression) and may for the time being allow EU officials to cling to the notion that the euro is “indissoluble,” the fraught negotiations that took place over the weekend in Brussels laid bare for all to see the unbridgeable gap between EMU nations. Although he’s as corrupt as the rest of them, to be fair, he is correct about Germany and France. Germany runs the continent and France tows the line, as it has been scared into towing the line. MOSCOW (Sputnik) — The Eurogroup, which has been negotiating with Athens over the past few weeks to resolve the Greek debt crisis, is dancing to the tune of Germany and is completely controlled by Germany and its Finance Minister Wolfgang Schauble, Greek former Finance Minister Yanis Varoufakis said Monday in his first interview since surprise resignation. “It is all like a very well-tuned orchestra and he [Schauble] is the director. Everything happens in tune. There will be times when the orchestra is out of tune, but he convenes and puts it back in line,” the outspoken finance minister told the New Statesman magazine. Are you starting to see the bigger picture yet? Yesterday it was Cyprus, today it’s Greece. Tomorrow it could be France, Italy and Spain. ATHENS/BERLIN (Own report) – At Berlin’s insistence, Greece will not receive debt relief and will be forced to submit – contrary to the Greek population’s “No” last Sunday – to Germany’s austerity dictate, or exit the Eurozone. This is what the Eurogroup decided at its summit yesterday evening. Debt relief, as French Prime Minister Manuel Valls had been still considering yesterday afternoon, is out of the question, announced German Chancellor Angela Merkel following the meeting in Brussels. Athens will also have to present detailed austerity proposals by Thursday. European Commission President Jean-Claude Juncker explicitly declared, “if the Greek government is not doing what we expect” a “Grexit” will be initiated. According to insiders, cash will be available at Greek banks only for another two days. By withholding ECB emergency funding, Greece can be driven into collapse, at any time. Just prior to the summit, leading economists signed an appeal to Chancellor Merkel, asking her to stop the “never-ending austerity” – to no avail. In the meantime, even Washington has intervened in the debate. A special EU summit, convened for Sunday, will take the final decision on Greece’s future. And guess who’s pulling the strings? None other than Germany’s Fourth Reich that runs the Troika.